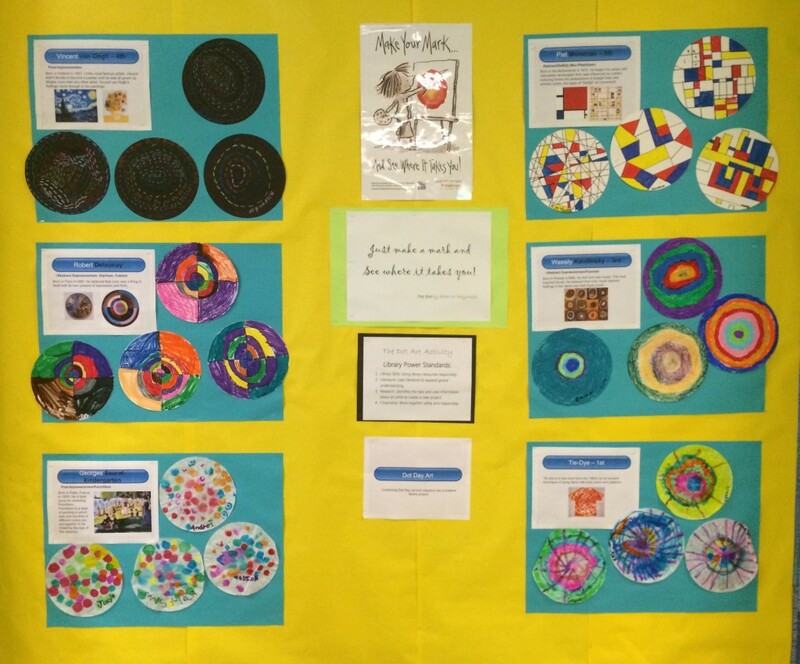 We made our Dot Art Mark last week in grades K-5 to celebrate #dotday15! 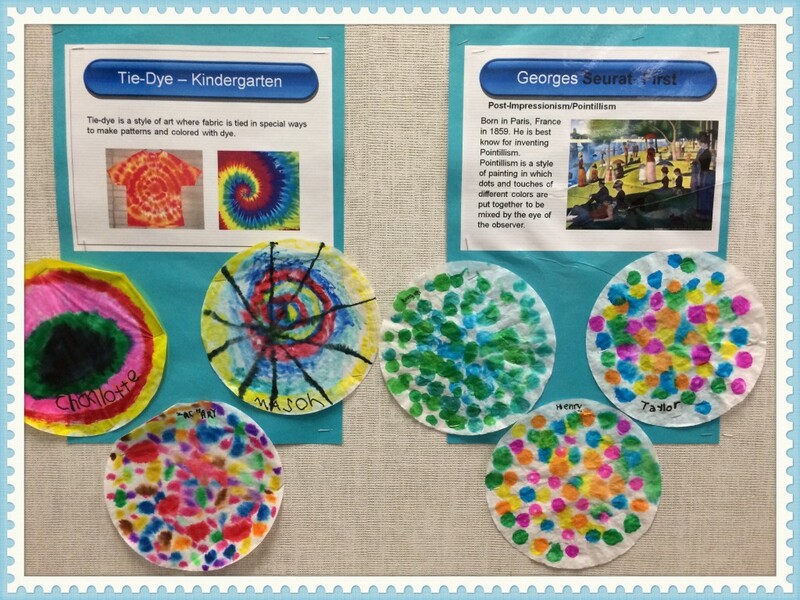 During International Dot Day or week, children all over the world read the book The Dot by Peter H. Reynolds and celebrated what makes them unique and creative. Over a million children in countries around the globe took part in this fun reading activity. Many of our blogging buddies participated around the country and in other nations including Mrs. Camp in Texas, Mrs. Monaghan in Middleham, England, and Mrs. Moore in Michigan. 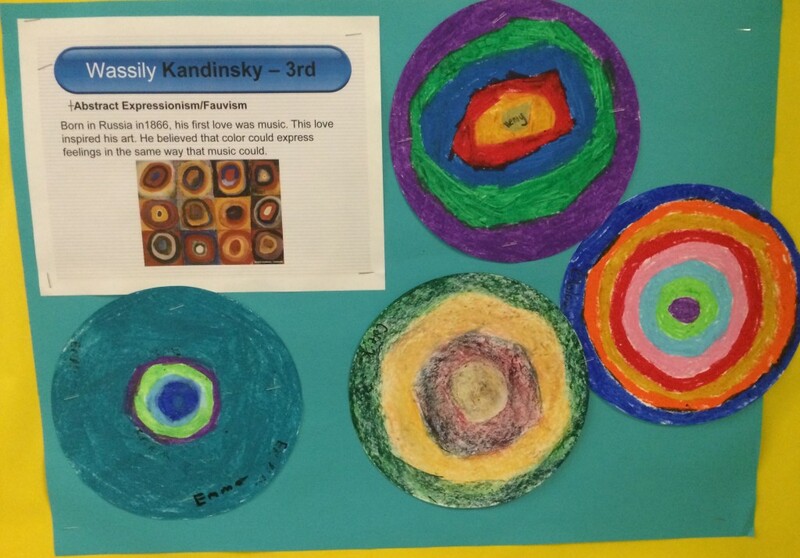 In library class we read The Dot and then the students in each grade learned about a different artist. 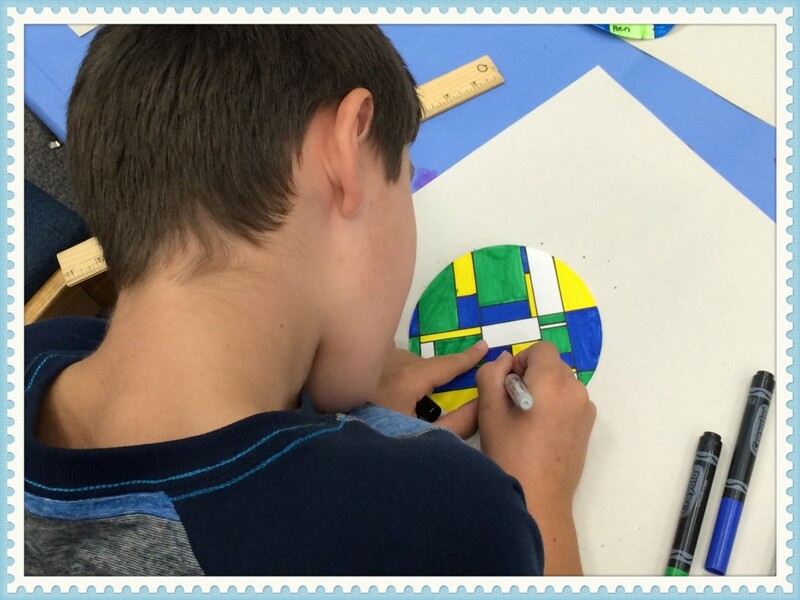 After the mini-lesson, the students imitated that style of art to create their own awesome dot. We also had a special guest Ms. Bower from New Zealand visit our library during Dot Week. Ms.Bower has met Peter H. Reynolds many times and enjoyed reading The Dot to some classes with her Kiwi accent! 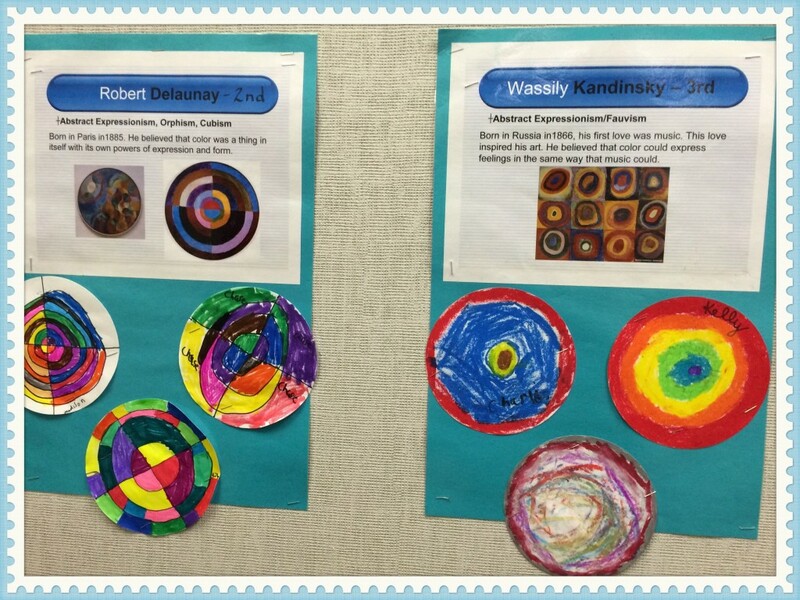 This week in class, the first graders will be viewing the dots made by the students in our partner library in Texas. 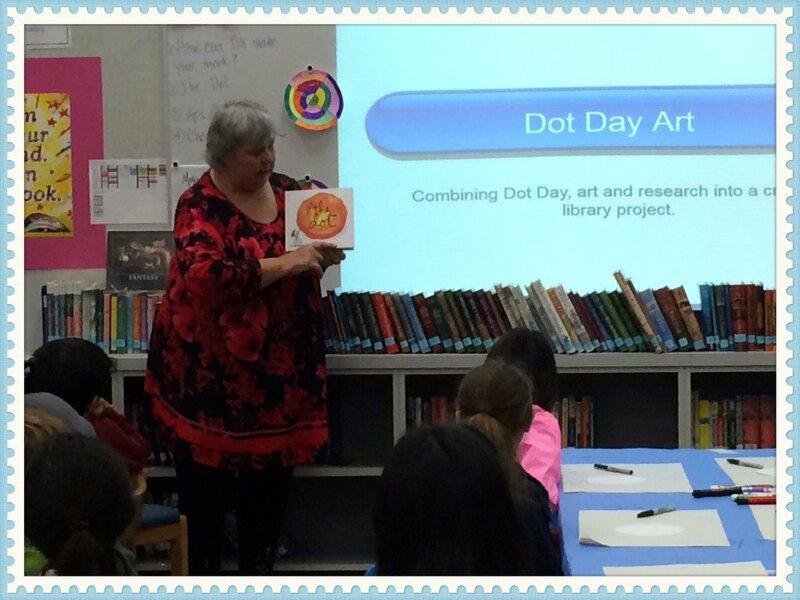 Mrs. Camp, the librarian at Benfer Elementary, and I have been collaborating on various activities in recent years, but this is the first time we have shared Bobcat Dot Day art! Since I moved schools, we are now both Bobcats. It will be fun learning how to make quality comments on their blog. They even learned The Dot song by Emily Arrows and Peter H. Reynolds. Still wondering about that book? Watch Peter H. Reynolds read his book on this video. We are all so talented in ways we don’t even realize. Let me know in a comment how you are special, creative and talented. 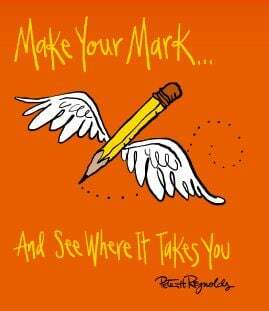 How are YOU making your mark on the world today? It’s a New School and New Year! Our first mission is participating in International Dot Day. All week we are celebrating the fabulous book The Dot by Peter Reynolds and taking on the challenge of making our mark and seeing where it takes us. 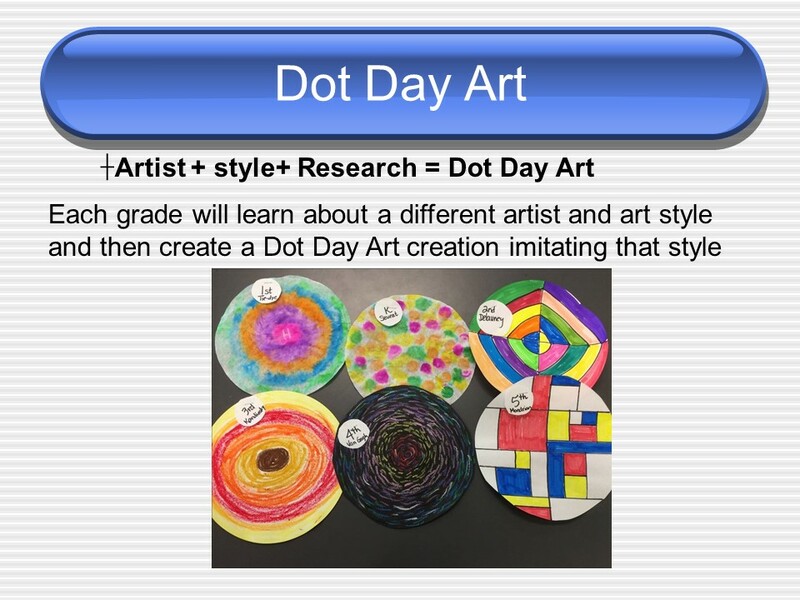 In my next post I will show some of our art in Dot Day style! 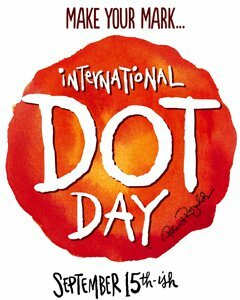 Did you celebrate International Dot Day yet? The great part of this holiday is that the date is September 15ish. The ‘ish” part means that you can keep celebrating or you can start celebrating when the time is right for you. It’s never to late to find out how you are creative and awesome. 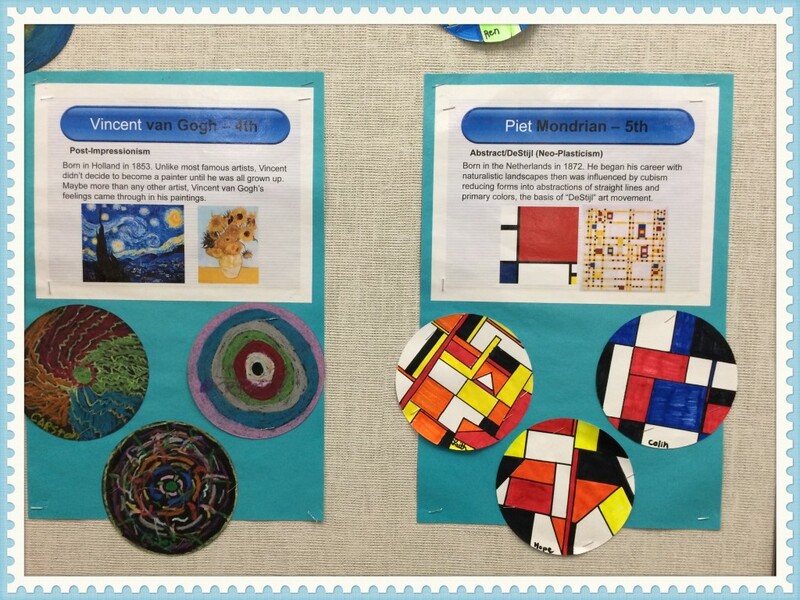 I love art, so this year I was inspired by the work of some other librarians and art teachers on Pinterest to try an artist focus for our Dot Day celebration. 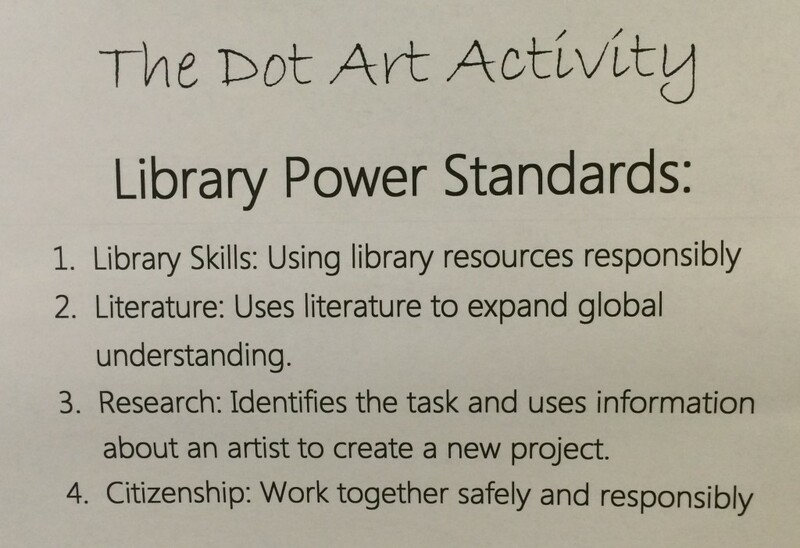 We also talked about what we are learning in library standards through the process. 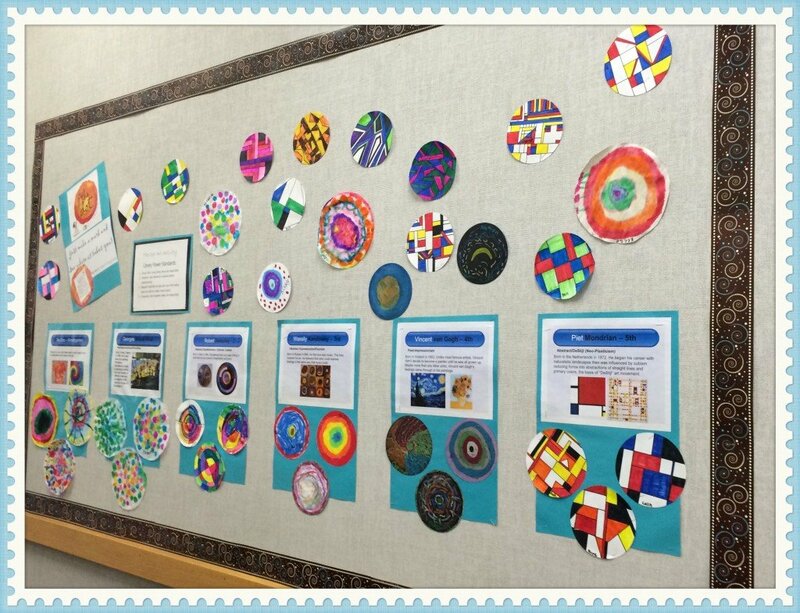 Each grade learned about a different artist and then the students imitated that style of art to create their own awesome dot. 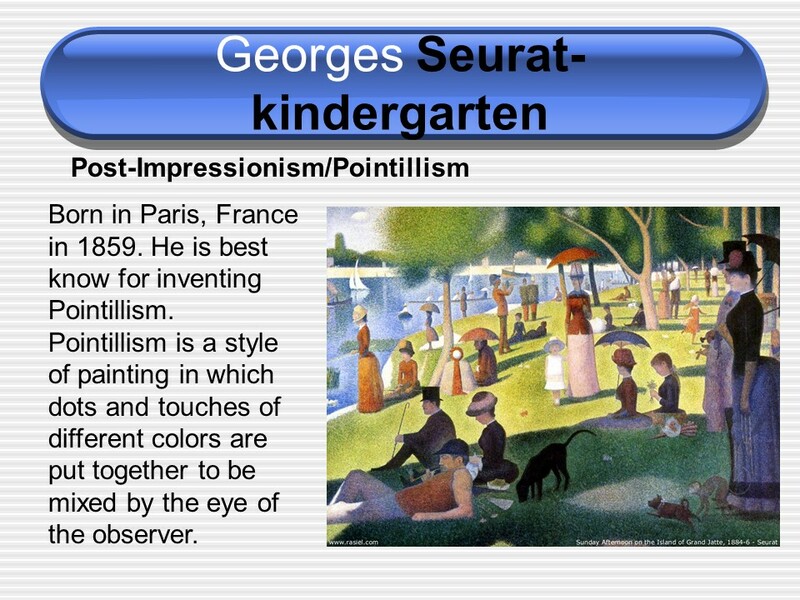 The kindergarteners learned about George Seurat who painted some of his most famous paintings using thousands of tiny dots. 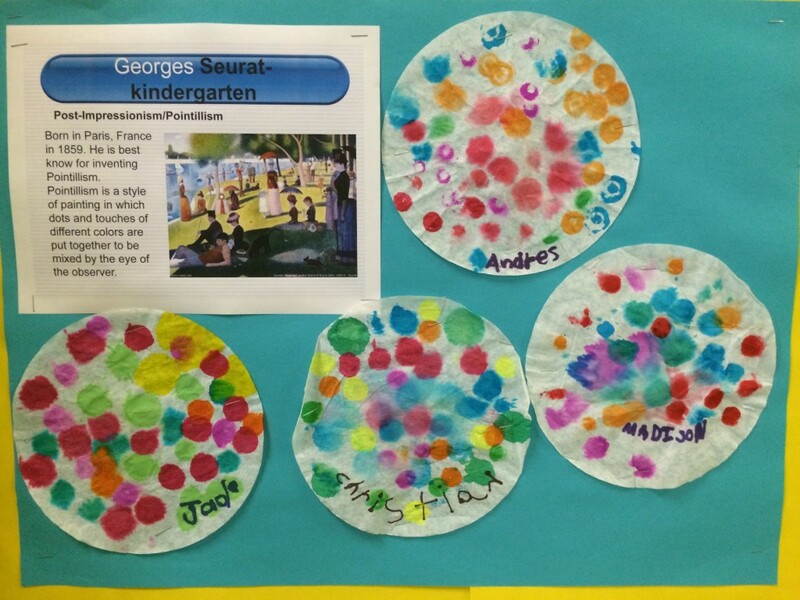 The kindergarteners added dots to a coffee filter with watercolor dot painters, and then I sprayed water on this to get an impressionism effect. It was quite magical to see the colors blend together. 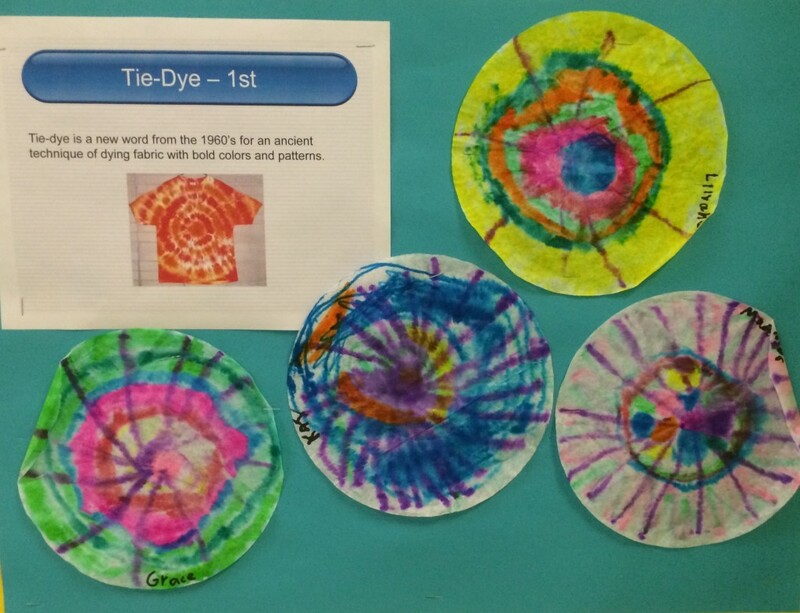 First graders learned that tie-dye didn’t really get invented in the 1960’s, but is rather a style of artcraft that’s been used around the world since the 6th century. They used watercolor markers to create a design on their coffee filter, added some lines to get the ‘tie-dye’ effect and then I sprayed water on it. 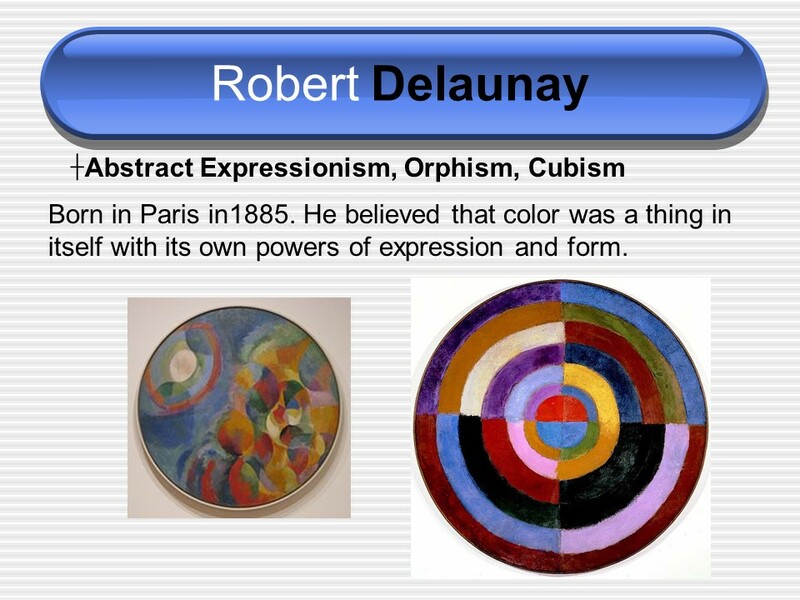 The second graders learned about the artwork of Robert Delauney who was greatly influenced by color and geometry. They divided their dot in half and then in quarters. 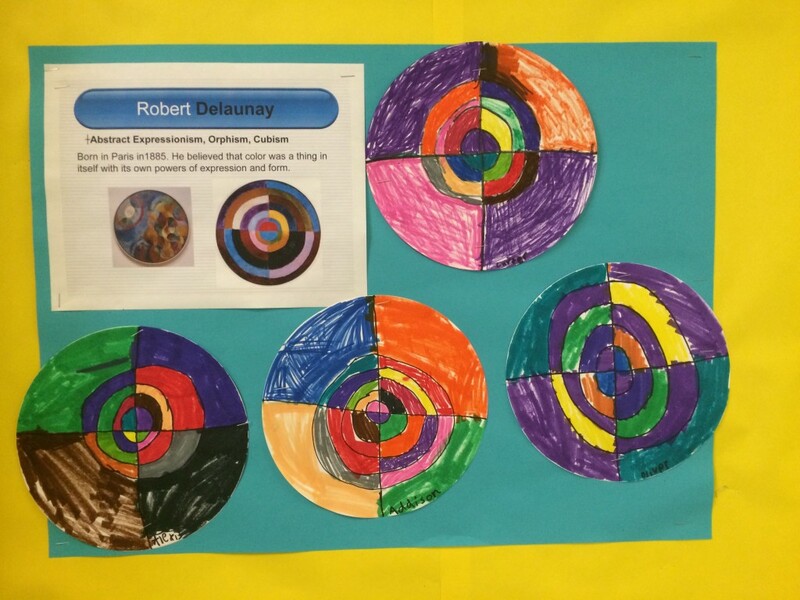 Then they added circles which they colored in. The same color could be used on the dot, but it couldn’t touch itself, except for in the inner circle. 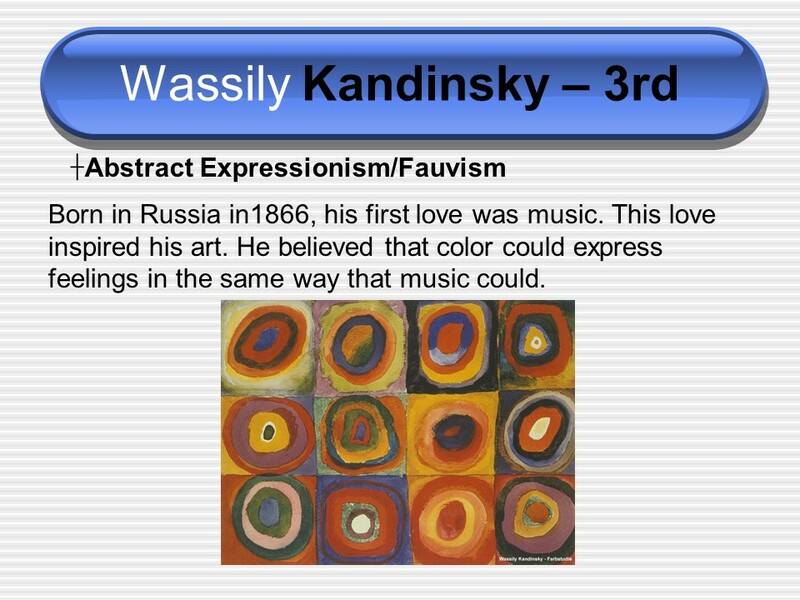 The third graders studied Walter Kandinsky and learned that he wanted to be a musician, but then became an artist. They made their art standing up, while listening to PianoGuys music. 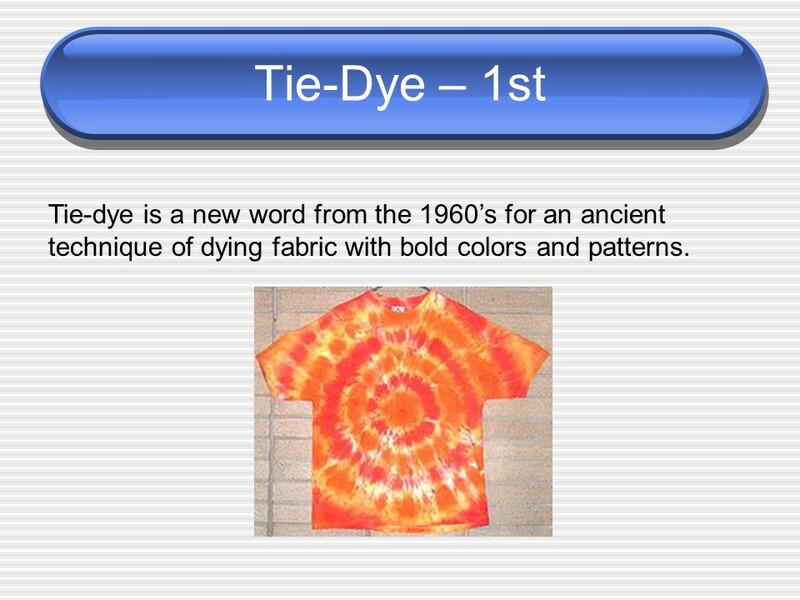 I encouraged the students to choose a color to use based on the music they heard, or the visuals on the screen. 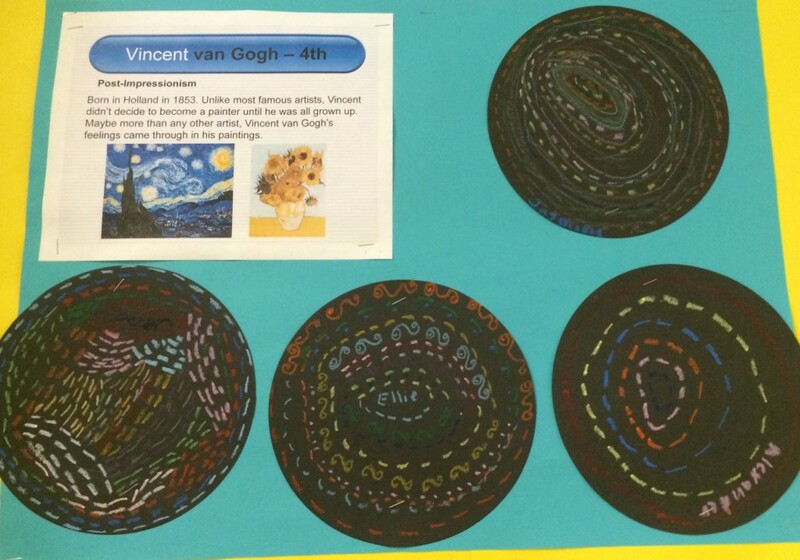 The fourth graders focused on Vincent Van Gogh and his heavy brush stroke technique. 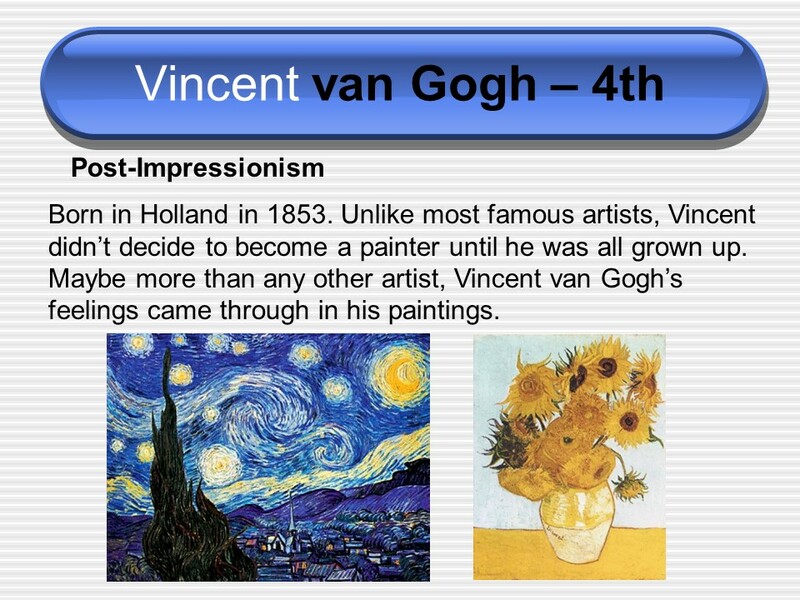 Most of our students are familiar with his Starry Night and Sunflower paintings. They used oil pastels on black dots to imitate his style, with brush stokes in different colors. 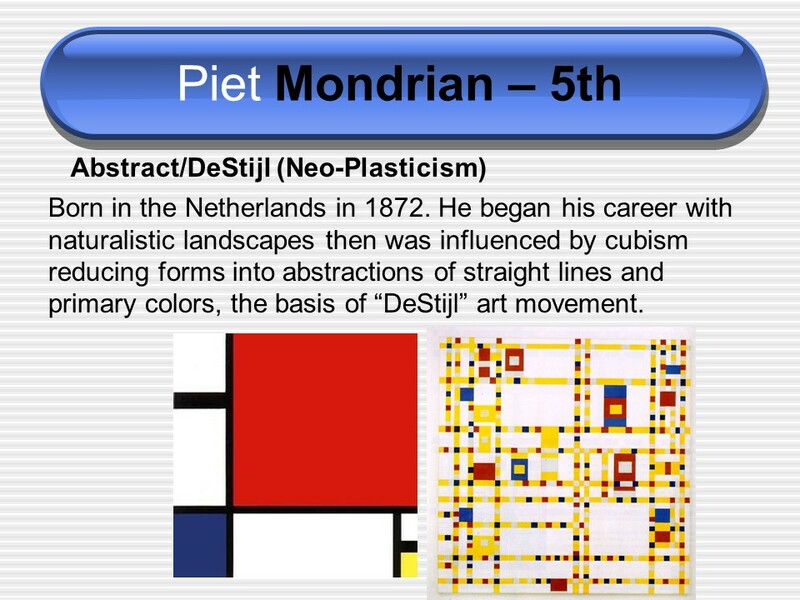 The fifth graders combined math, line, and primary colors when they learned about Piet Mondrian. Each student was given a sharpie, a ruler and water color markers. 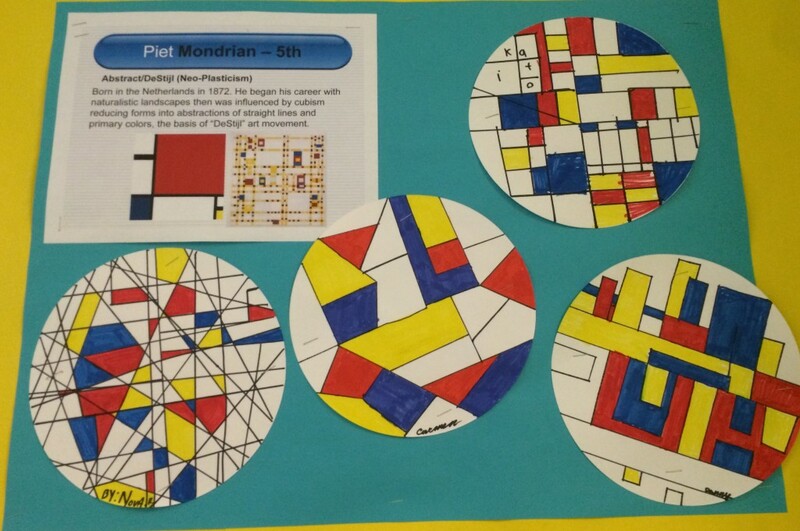 They were instructed to create a cubism style dot with the sharpie and ruler, and then fill in the spaces with only primary colors: red, yellow and blue. It’s been a fabulous week of creating awesome artwork, and continues next week too. One student said about his dot, “It’s a tornado of color!” others eagerly talked about how it was the best day ever in the library! Here’s our Kindergarten -5th grade bulletin board with some samples from each grade. A HUGE round of claps and a super thank you go to Mrs. Lustgarten who shared her artist research and powerpoint slides with me! You can try these techniques at home! What ones to you want to try? Do you have a suggestion for another style we should try next year?